In this episode, Jacqueline and Minna chat about what you should be thinking about NOW for your product-based business in what we're calling the Half-Year Push ... which leads into our new group coaching/mastermind program and how we can help you set your business up for more revenue and better thinking for Q4 and Q1. 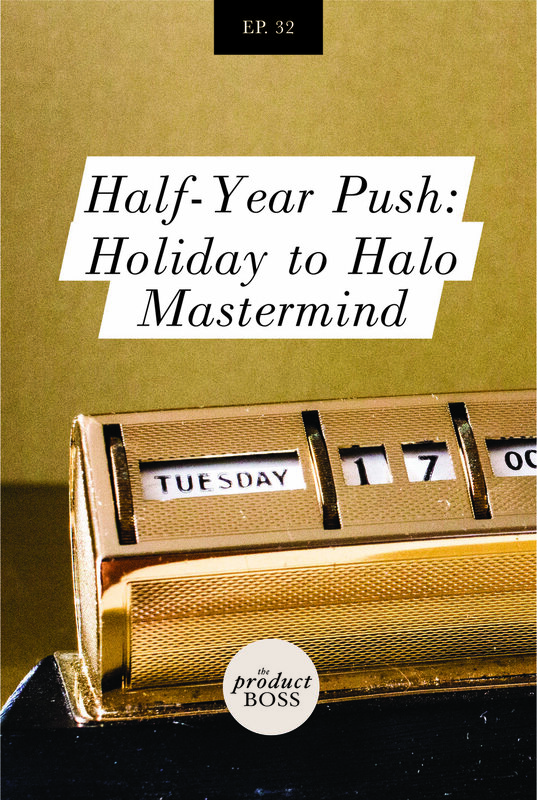 This episode was brought to by our new mastermind program Holiday to Halo. We’ll be focusing on leveraging the power of the holiday season and the halo sales for Q1 to boost the growth of your business. Join us! Go to theproductboss.com/mastermind for more info. Behind-the-Scenes: Minna's NEW Product Biz: Oasis Soap Co.